LONDON, United Kingdom - With another London Fashion Week in the books, we had to round up our favorite looks from the week from Mayfair to Covent Garden. Top of the list: model turned director Adesuwa Aighewi embraced vintage-meets-current vibes with a pair of silver rimmed spectacles, a cropped light denim wash jacket, lavender bralette, and high waisted white trousers with grommet belt. Nigerian singer Seyi Shay wore a screen-printed Ana Ljubinkovic mini dress, Charlotte Simone dual toned fur scarf, and over the knee boots from WHYTE Studio that captured all of the imagination in transitional dressing. Later in the week, model Alanna Arrington had an impromptu dance party in a pair of red Off-White denim and clean white kicks. Fellow model Dilone rocked a deep cuffed leather jacket atop a pointed collar shirt with matching trousers. 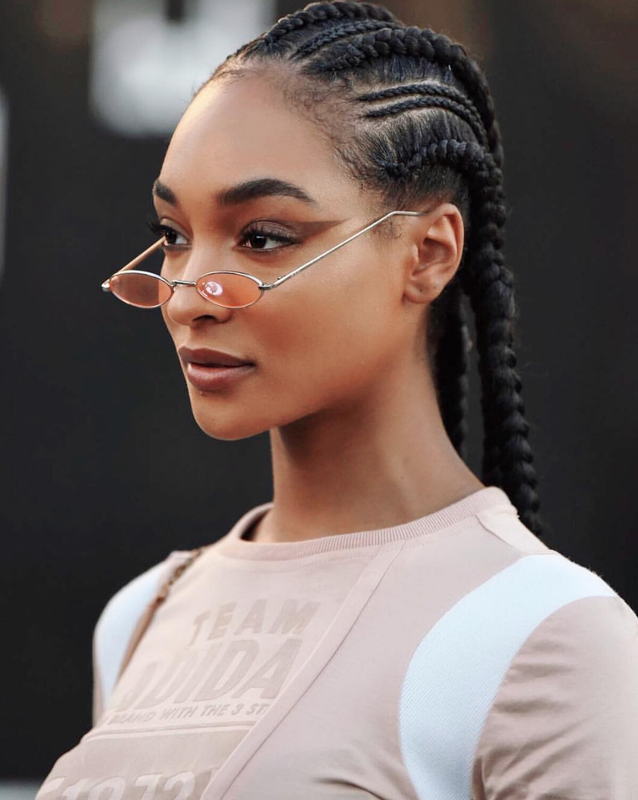 To close out our top five, British model Jourdan Dunn, fresh off her Burberry exclusive under new Creative Director Riccardo Tisci, took to the streets after the show in an Adidas blush dress and tinted frames - a sublime combination to stay casually cool.